Disjointed. Fragmentary. Fractured. Sketchy. Incomplete. The ten pieces (untitled other than by numbers 1-10) on Refound are vague in structure, minimal in form, non-linear in trajectory, and often unclear in purpose. Hardly surprising, given that they emerged from improvisational sessions made with electronics and ‘inside piano’. I’m not sure if this is becoming increasingly popular as an instrument of choice in avant-garde circles, or I’m simply evermore aware of its use in the making of experimental music since I received a copy of Reinhold Freidl’s immense Inside Piano double CD four years ago. 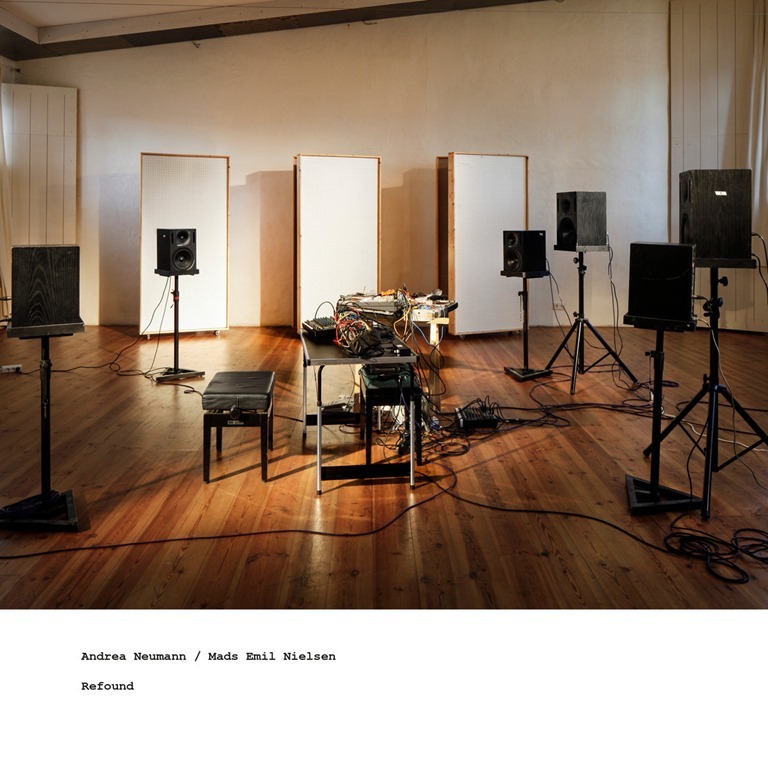 For Refound, Neumann and Neilsen’s improvised experimentations were remixed and realigned by the two contributing artists themselves to create something… well something. I was tempted to say that conveyed their joint vision, although what that vision is, assuming there was a vision beyond seeing what their playing together produced, is unclear. Refound manifests as a succession of tweets, hisses, rumbles… skittering, bird-like treble and yawning mid-tone feedback. There’s no discernible trajectory, the pieces break off and stand separately from one another as a series of sketches rather than as a coherent, cohesive album.